One minute they're there, the next they're gone. It s impossible to keep track of your pets every minute of the day and night. As a pet owner, you know what a worry the prospect of them disappearing can be. No matter how careful you are, there is always the chance that your pet will go astray. In particular, if you are always with your pet in unfamiliar surroundings, it s all too easy to become separated. 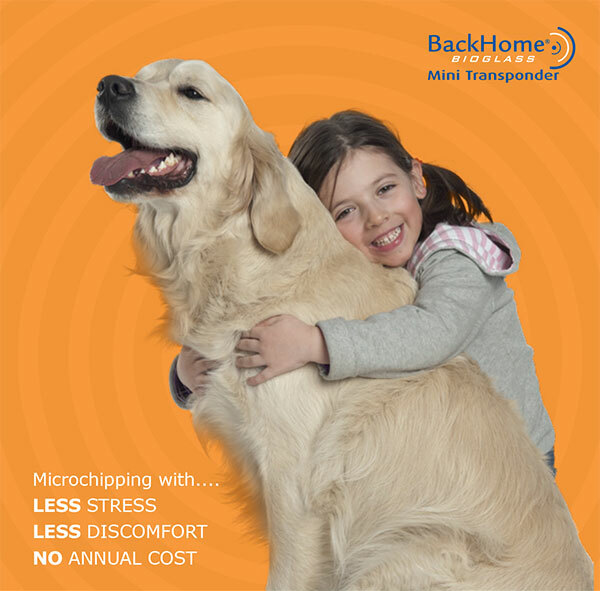 BackHome® proudly introduced South Africa’s first mini microchip. After a decade of excellence in Pet Electronic Identification, Virbac introduced the first mini microchip into the South African market. Because it’s 33% smaller than traditional microchips, it has BIG benefits for you, and most importantly, your pets. A lifetime of pet identification for an affordable once-off cost. Minimum stress, pain and discomfort to your patient. Due to the size and design which has a silicone coating, the BackHome® mini microchip reduces pain during the implant. Smaller than a grain of rice, the BackHome® mini microchip is encapsulated in parylene a “tissue friendly” material which reduces the possibility of migration of the chip. The transponder is completely passive and does not provoke any harm or allergies. 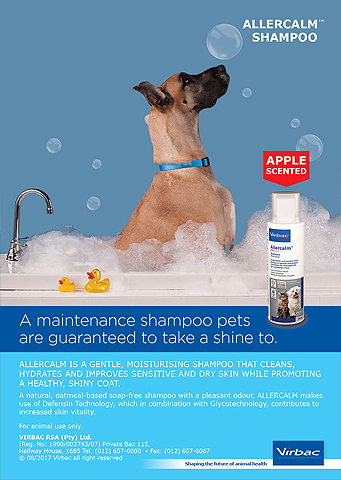 Online access for you, the pet owner. Virbac will provide you, the pet owner, with access to the details of their pet on the BackHome® Database. This will allow you to add alternative contact details such as when they are going on holiday etc. The BackHome® Database is available on www.backhome.co.za or via sms 083 377 0924 (type in the word FIND followed by a space and then the 15 digit microchip number). You can also contact our friendly and efficient BackHome team during weekday office hours on 011 027 8837 or 011 852 8523.